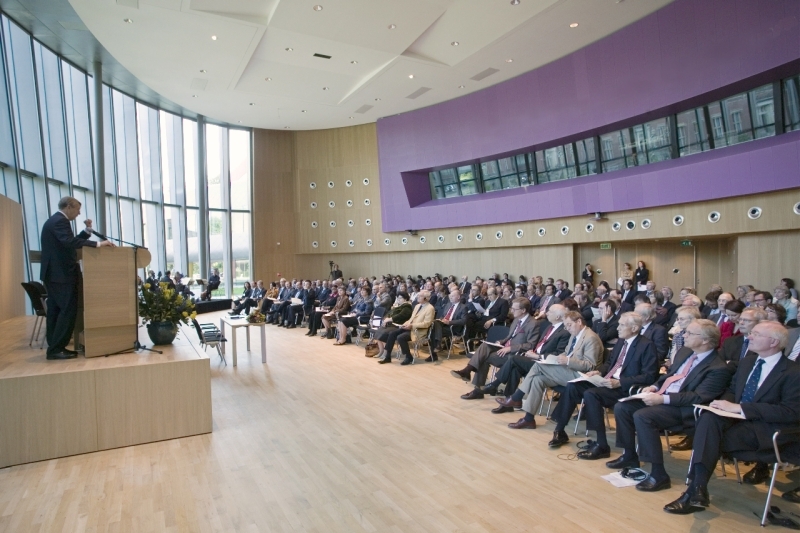 On Thursday 18 September 2008, the 115th anniversary of the Hague Conference on Private International Law was celebrated in the Academy Building, on the grounds of the Peace Palace, in The Hague. 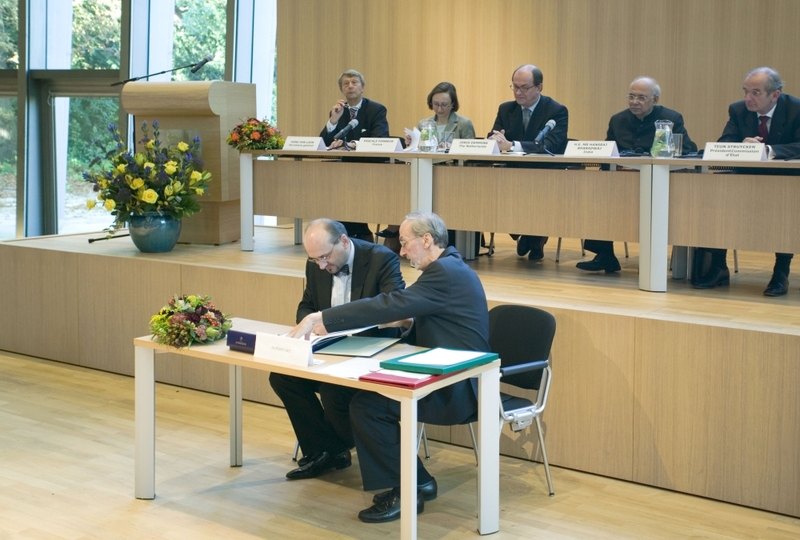 During the celebration, the Hague Convention of 13 January 2000 on the International Protection of Adults received its third ratification. 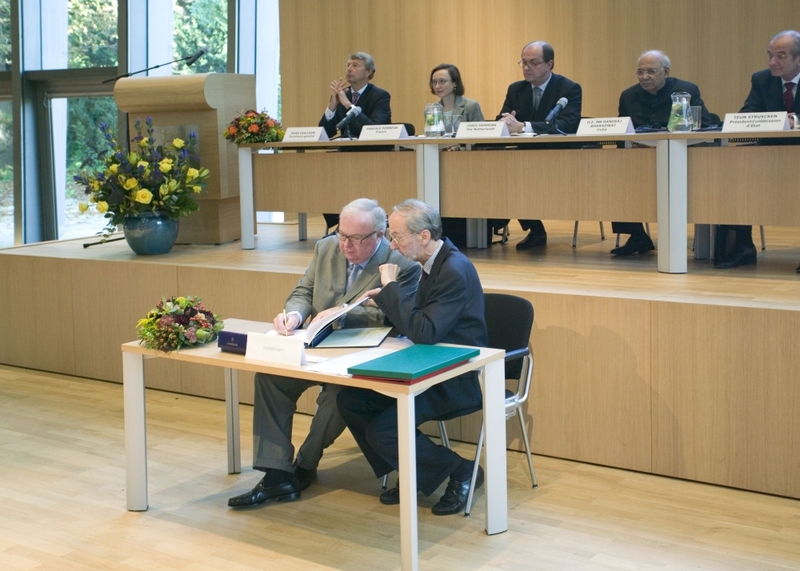 Consequently, the Convention has entered into force on 1 January 2009 for the following countries: France (ratification on 18 September 2008), Germany (ratification on 3 April 2007) and the United Kingdom (ratification, for Scotland only, on 5 November 2003). 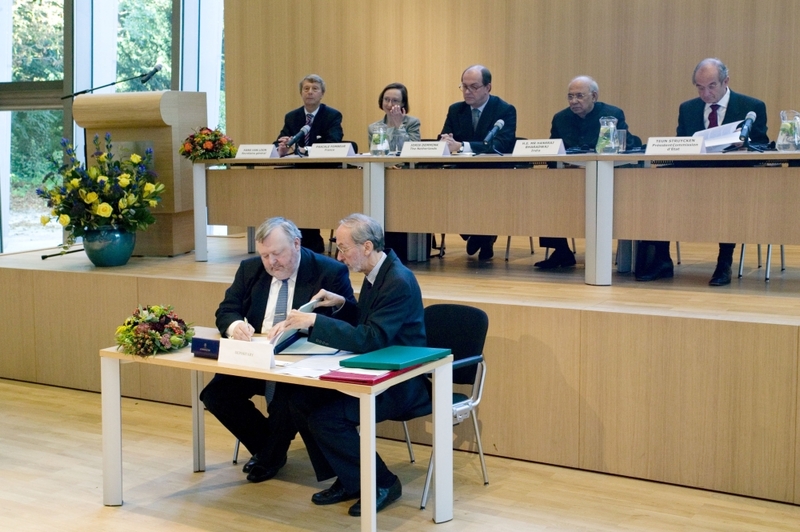 Moreover, the 2000 Convention received five signatures: by Finland, Greece, Ireland, Luxembourg and Poland. 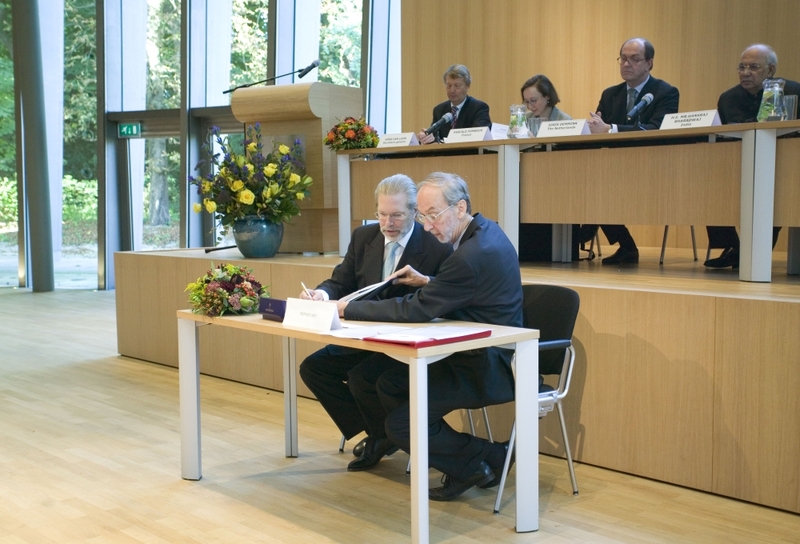 On the occasion of the celebration of the 115th anniversary of the Hague Conference on Private International Law, Mr Alfons Stoelinga, Deputy-Secretary General of the Ministry of Foreign Affairs of the Kingdom of the Netherlands, announced, on behalf of the Minister for Development Co-operation, the decision of his Government to generously grant the Hague Conference a contribution of 500,000 Euros. This amount will go towards securing the operation of the Hague Conference International Centre for Judicial Studies and Technical Assistance over the next four years and is especially intended for legal capacity building and good governance activities in or on behalf of developing countries. 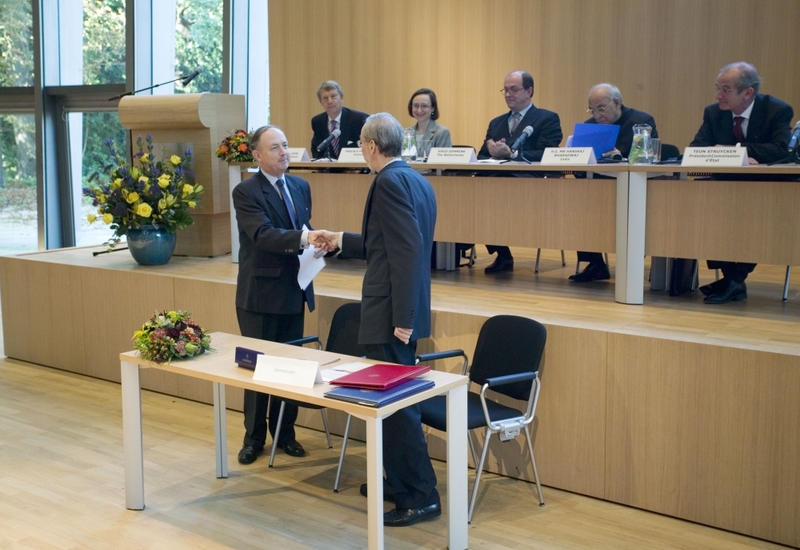 Finally, during the event the Secretary General, Mr Hans van Loon, was admitted as Officer in the Order of Orange-Nassau, in recognition of 30 years serving the cause of the Hague Conventions. Speeches delivered by Secretary General Mr J.H.A. van Loon, the President of the Standing Government Committee of Private International Law Mr A.V.M. 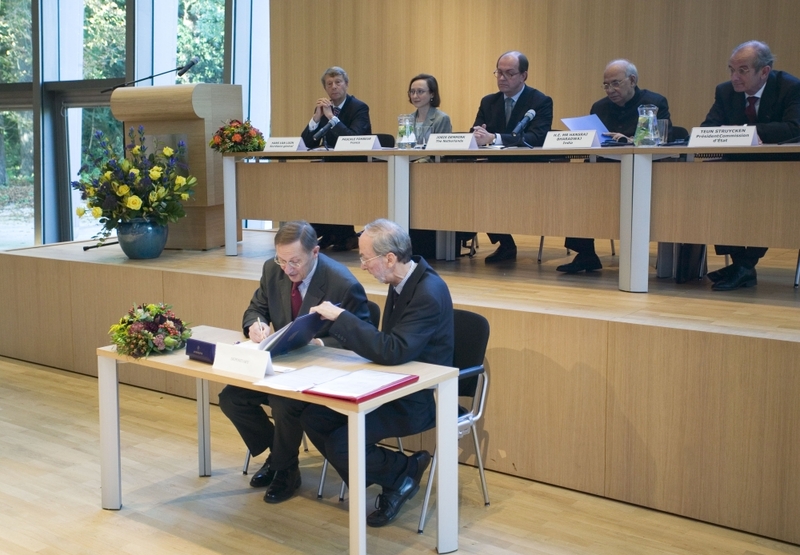 Struycken, the Secretary General at the Ministry of Justice of the Netherlands (on behalf of the Minister, H.E. Mr E.M.H. Hirsch Ballin) Mr J. Demmink, the Director of Civil Affairs at the Ministry of Justice in France Mrs Pascale Fombeur, and the Minister for Law and Justice of India H.E. Dr H.R. Bhardwaj.